Our law firm’s goal is to make communities safer, we’re not just making a living — we’re making a difference. We do this by holding responsible those individuals or entities who violate community safety standards and cause needless harm. We limit the number of cases that we will accept in any given year, in order to devote close personal attention to each and every case. We also are strong believers in the power of a jury to hold wrongdoers accountable. We are zealous about standing up for the little guy against huge corporations, representing the underdog, and fighting for right to triumph over wrong. We take that responsibility seriously, passionately advocating for the rights of the wronged. We have found that being ready and willing to go to trial is often the best way to make certain that the people we serve receive the care and attention they need. When our opponents see that we are in position to go to trial, it increases the value of settlements. When developing cases for trial, we work with medical experts, engineers, investigators, graphic artists, jury consultants, and others to prepare a compelling case. Contact our law firm to learn more about how we can help you recover after a serious injury or the wrongful death of a loved one. Robert D. Bohm is the founder of Robert D. Bohm, P.L.L.C. The firm represents individuals, families, and small businesses throughout the states of Washington and Arizona who have been injured by corporate and government irresponsibility. As one of three brothers growing up in northern Illinois, Robert D. Bohm learned the value of hard work at an early age while working on his family’s farm. He saw firsthand the struggles of farmers, steel workers, and diligent families in contrast to the slick operations and uncaring practices of some corporations and agencies. His experiences as a young man in Illinois gave him the resolve to work toward fairer treatment of those who were less experienced or less confident in speaking for themselves. 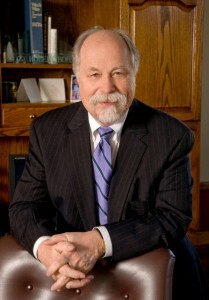 Offering Experience, Service and Results, Robert D. Bohm has practiced law since 1978. In this time, he has achieved numerous successes on behalf of the people and families he represents. These people often have the satisfaction of both a significant recovery and a sense of changing the community for the better. If we represent you, you can take heart in knowing that we will be with you at each step of the way. If you are an attorney and want to associate with our firm on a case, or if you want to consult with us about trial strategies, please review Robert’s biography page for more information. Consult, associate or refer a case to us. You will be part of our team and our unique approach to case preparation. Washington & Arizona Attorneys For Cases Involving Injuries Caused By Negligent Maintenance & Operations On Premises (including Office Buildings, Condominium and Apartment Complexes, Public Sidewalks, Hotels & Resorts) Cases involving injuries on another’s property are known as “premises liability” cases. Individuals can suffer severe harm in these types of cases. Premises liability cases happen when a property owner places his or her profits above people. Our law firm stands with the injured to help them recover full compensation for their injuries. As part of our efforts, we are often able to force property owners to take appropriate measures to make their property safer, thereby helping our communities as a whole. Property owners are required under law to provide safe premises for guests, customers, and other people who enter their property. When there are potential hazards, property owners are responsible for removing the hazards, or at a minimum, giving proper warning to those entering the property. In too many cases, property owners fail in these duties. For example, they fail to maintain their walkways, their stairs, their lighting, and parking lots. Hotels in high-crime areas often overlook security on the property and in their parking lots. When they do, people can suffer horrific injuries or even death. If you or a loved one has been injured while on another’s property, you may have substantial expenses for the medical expenses and lost income. In certain cases, severe injuries may prevent you from enjoying life the way you did prior to your injury. You may not be able to return to work to support your family. In these situations, it is vital that you seek a lawyer who will help you recover the compensation you need. We are The Law Offices of Robert D. Bohm with offices in both Seattle–Tacoma and Phoenix, representing people throughout the states of Washington and Arizona. We have demonstrated a powerful record of serving those who have been harmed by another’s irresponsible conduct. Contact the Seattle – Tacoma & Phoenix Premises Liability Attorney Robert D. Bohm We can evaluate your case free of charge. In Seattle – Tacoma area, call 206-463-6767, in Arizona, call 602-957-7400 or Click Here to e-mail us today. We never charge you for that phone call or first consultation.